The human body is on alert for malignant cells. Scientists and doctors are getting better at harnessing the human immune system as a weapon against cancer. German physician Paul Ehrlich theorized that our bodies are always fighting off cancer and that usually we win. 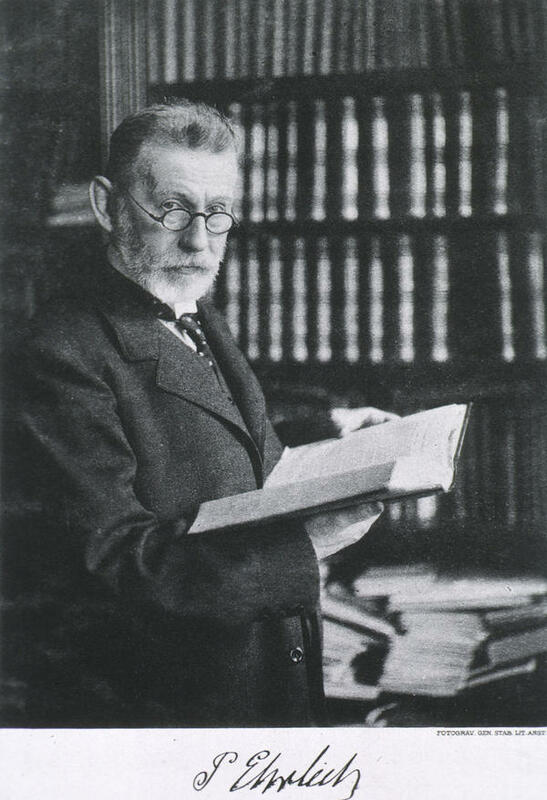 It was in 1909 that Nobel Prize-winning German physician Paul Ehrlich proposed the idea that our bodies are fighting constant battles with cancer and that, thankfully, most of the time we win. Ehrlich was a visionary in recognizing the interaction between cancer and the immune system. Specifically, that cancerous cells are continuously arising in the body but that our immune defenses in many if not most cases keep them at bay. Now, after his and related ideas sputtered along for decades, the theory is at the core of one of oncology's hottest areas, immunotherapy, or the mobilization of the human immune system to fight malignancy. Few would argue that in just the past few years this field has begun to transform cancer care. Newly approved immunotherapies have increased treatment options and improved patients' odds for a variety of tumors, while also allowing many with cancer to avoid, cut back on or delay chemotherapy. Former President Jimmy Carter's successful treatment for melanoma, including a regimen of immunotherapy along with radiation therapy and surgery, helped push the approach into the public spotlight. Yet immunotherapy has faced some prominent setbacks. In August a clinical trial of the Bristol-Myers Squibb drug Opdivo, or nivolumab, for a group of patients with newly diagnosed lung cancer, unexpectedly failed as a first-line therapy. The announcement shaved $20 billion off the value of Bristol-Myers in a single day. Though immunotherapy is generally more tolerable than chemotherapy and radiation, there are side effects to consider. Immunotherapies can cause symptoms like fatigue, nausea and diarrhea; and a recent case report review revealed a possible link between the medications and chronic arthritis. And then there's the staggering cost, with some immunotherapies running well over $100,000 a year. The immunotherapy drug Yervoy, also from Bristol-Myers, is priced at $157.46 per milligram. "To put that into perspective, that's approximately 4,000 times the cost of gold," Dr. Leonard Saltz, of the Memorial Sloan Kettering Cancer Center, said at last year's American Society of Clinical Oncology Annual Meeting. Perhaps the biggest question of all about immunotherapies is why don't more people respond to them. Data presented at this year's American Association for Cancer Research Annual Meeting in April showed that over one-third of patients with malignant melanoma who were treated with Opdivo were still alive after five years, more than double the five-year survival rate for metastatic melanoma patients diagnosed between 2005 and 2011 who were treated with standard cancer therapies of the day. Yet as the AACR points out on its blog, "Despite the obvious cause for excitement, this means that about two-thirds of patients with metastatic melanoma who were treated with [Opdivo] had cancer that did not respond to the immunotherapeutic or progressed after initially responding." And response rates for other tumors tend to be markedly lower: in lung cancer, for example, they hover around 20 percent. Oncologists and scientists are now faced with determining why some patients respond and others don't, and also how to better predict which treatments are best for which patients. Equally important is understanding how the new treatments should be used with surgery, chemotherapy, and radiation; and whether or not, at least in some cases, immunotherapies can replace these more established options altogether. In 2016, over a century after Ehrlich first proposed his ideas, immunotherapy takes many forms: There are cancer vaccines, antibody therapies, and drugs that drive the immune system to fight off cancer. But two newer immunotherapy approaches are generating particular buzz. The first involves engineering a patient's own white blood cells to recognize and attack tumor cells. Called "CAR T-cell therapy," it's still experimental. But it has had some early success for blood cancers like leukemia. Further along are so-called checkpoint inhibitor therapies. Normally our bodies have what are called immune checkpoints, mechanisms that restrain immune activity so our bodies don't attack our own tissues or get overly aggressive when fighting infection. The only problem is that cancer can co-opt these off switches by sending out molecular signals that shut down our defenses. Checkpoint inhibitor drugs interrupt the signals cancers use to shield them from the immune system. 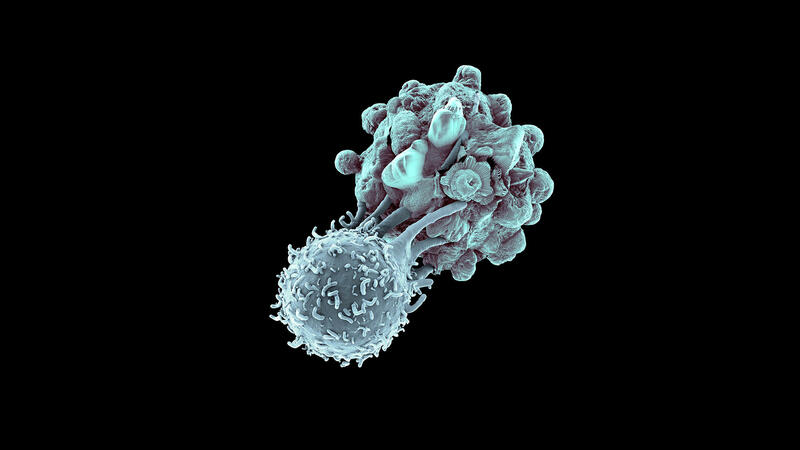 While earlier immunotherapies broadly activate the immune system, these newer agents specifically boost the activity of a subtype of white blood cell called T-cells, which when activated can zero in on and destroy cancer cells. The improved selectivity reduces collateral damage and side effects. There are now four checkpoint inhibitors approved for various cancers — including certain lung and kidney cancers, melanoma and most recently bladder cancer — with trials underway in nearly every major tumor type. In addition to Opdivo, trial data presented at this year's ASCO annual meeting in June found another checkpoint inhibitor called Keytruda to be effective in advanced melanoma patients. Of the 655 patients in the study, 40 percent were still alive after three years. Other data presented at the meeting suggest that immunotherapies hold promise in a number of difficult-to-treat cancers, including including advanced lung, kidney, bladder and head and neck cancers and Hodgkin lymphoma. But where do oncologists go from here? Can patient response rates go from improved to impeccable? One way is by identifying biological markers that can predict treatment response in a specific person. Researchers from the University of California, San Francisco recently reported that melanoma patients whose immune cells have higher levels of two checkpoint proteins called PD-1 and CTLA-4 respond significantly better to Keytruda therapy. The group is using the finding to determine which patients are more likely to respond to the treatment. Similarly, the 15 percent to 20 percent of colorectal cancer patients with what is called an "MSI-high" subtype of tumor respond especially well to immunotherapy. Another, perhaps more grueling method of improving patient response to immunotherapy is methodically determining how to use and sequence the new drugs with the vast armory of other cancer treatment options — and whether, in some cases, they could replace unpleasant stalwarts like chemo altogether. "In melanoma this has pretty much already happened in many cases. We're often using these drugs as front-line therapy," says Dr. Elizabeth Buchbinder, an oncologist at the Dana Farber Cancer Institute in Boston. "However in other tumors it's a lot more variable and I think in general these will be something to consider alongside the other treatments." Buchbinder explains that while melanoma patients treated with a single checkpoint inhibitor see response rates between 30 percent and 40 percent, those rates climb to 60 percent when a second immunotherapy is added. "I think these will become part of a combination of strategies," concurs Sloan-Kettering oncologist Marcel van den Brink. "Just look at chemo. There are almost no situations where one chemotherapy alone would even come close to curing a cancer of any type. The big breakthroughs here came when we carefully figured out combination therapies." Improving cancer outcomes will involve personalizing care in a variety of ways. After all, each of our bodies operates — and falls ill — at the hands of its own exclusive biology. But van den Brink is hopeful about the possibility of profiling the microbiota to determine how certain bacteria in the gut can influence cancer immunotherapy. "The biome can stimulate T-cells all over the body," he explains. "Maybe we can come up with a strategy to foster a particular type of bacteria in a particular patient that improves treatment response." Genetic interventions will also play an increasing role in customizing cancer care. By sequencing not only the genomes of patients, but those of their tumors and even their immune cells specifically, oncologists will be better able to determine which treatments will work best in which patients. University of Chicago oncologist Jason Luke says oncologists are already trying this. "Even now we can use genetic techniques to look at which genes are turned on in the cancer tissue and to tell us whether immunotherapy is likely to work or not," he says, explaining that this technique could help identify patients whose immune system is already "primed for attack" and may need only an immunotherapeutic nudge, versus those that might also require chemo and radiation. Luke also believes that tinkering with DNA using genome editing technologies like CRISPR could help doctors not only excise cancer-causing genes but also improve treatment efficacy. In fact, in June a federal biosafety panel approved the first study of the technique in humans — a study that aims to use the technique to augment cancer immunotherapy by genetically modifying immune cells. "I think eventually we'll get to the point where we'll look at someone's tumor, immune system and genetics and say, 'This treatment is the way to go,' " foresees Buchbinder. "I think with time, immunotherapy will be part of many, many cancer treatments." Van den Brink encourages optimistic caution: "We need to be honest here. These therapies look very powerful and promising, but a fair number of patients don't respond to them upfront," he says. "These aren't absolute cures for most people just yet." Defeating one of humanity's oldest scourges, he says, has years of trial and error ahead. Bret Stetka is a writer based in New York and an editorial director at Medscape. His work has appeared in Wired, Scientific American and on The Atlantic.com. He graduated from University of Virginia School of Medicine in 2005. You can follow him on Twitter:@BretStetka.